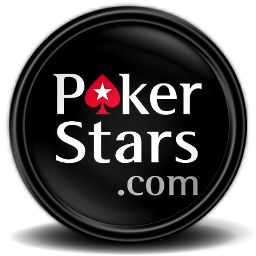 PokerStars has definitely been the hot topic in online poker news over the past few weeks, even months; from ‘bad actor clause’ discussions to the Amaya Gaming acquisition to an imminent launch in New Jersey. The online poker giant has now announced the schedule for the 2014 World Championship of Online Poker, which is set for next week, and the release has me thinking more about a launch in the US. As gambling has slowly begun to take shape online in New Jersey, Delaware and Nevada, poker players have been able to take part in online tournaments, cash gaming, etc. The WSOP.com site has been the most successful as of late and one would assume that if PokerStars was to enter the market, they would be a favorite among players as they are a top brand. Take for example the upcoming WCOOP. The event will start on the 7th of September and continue until the 28th. This is almost a month of consistent poker tournaments, all of which combined will have a minimum of $40 million in guaranteed prize money. The Main Event guarantees $10,000,000 and the winner will earn a minimum of $1.5 million guaranteed, who doesn’t want a chance at that? The schedule for this year’s event will include a variety of options, from no limit hold’em, to Omaha, badugi and stud. This means you can enjoy your favorite variants or try something new, with everything offering solid prize pools. PokerStars also provides satellites for the series so you have the option of buying your way in for much less than the original buy-in, which is always a plus. With the announcement of the WCOOP schedule, I cannot help but wonder what it would be like if US players could compete. With a tentative date set for PokerStars and Full Tilt to enter New Jersey by October, it may not be long before US residents have the option of competing in such events.